Juanita Howard is a self taught pencil artist who specializes in photorealistic portraits. 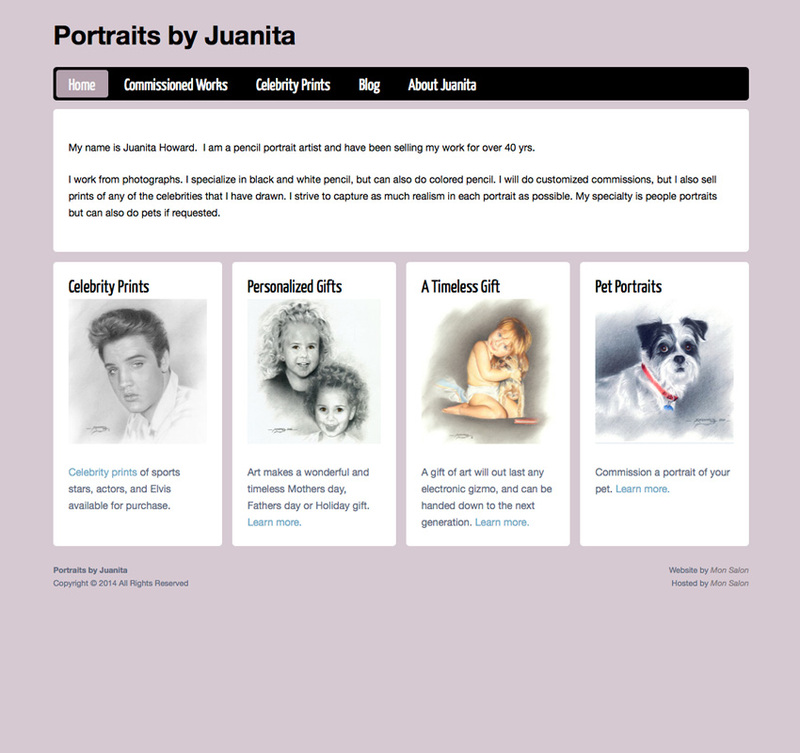 We created an economical website for Juanita to display her portfolio. MonSalon.org also provides secure website hosting for her website and email services. Get started creating your online portfolio today.